We've had reports of some kids feeling very cold in the winter. We want to make extra warm and cosy jumpers for them. We need you to carry out investigations to find out which material we should use to make the jumpers. 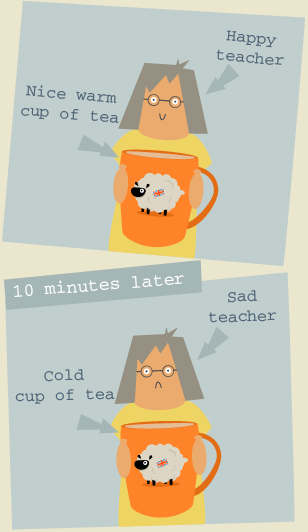 The teacher hates cold tea! 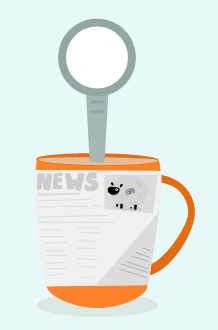 A hot cup of tea will go cold because heat travels from a warmer place to a colder place. We need to find a way to slow this process down! Test the materials to see which one is best to use to make a special thermal cup to keep the teacher's cup of tea warm. 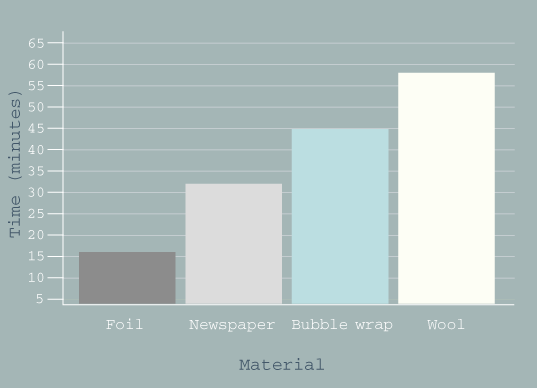 Which of these materials do you think will be best to wrap around a cup of tea to keep it warm? Find out later if you were right! Thermal insulation helps to stop the movement of heat. 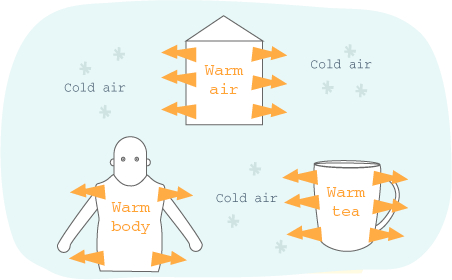 Heat likes to move from hot zones to cool zones. 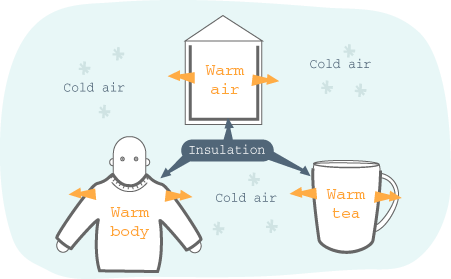 We use thermal insulation in our houses. In winter the hot air inside our homes tries to escape outside to the colder air. We fill the cavities in the house walls with materials that are good at keeping the heat inside. The heat in the teacher's cup of tea, the warmth of our bodies and the warm air in our houses all try to escape in the same way. Thermal insulation reduces the amount of heat that is lost. All the cups are exactly the same and have exactly the same amount of hot tea in them. Start the clock to see the temperatures drop. 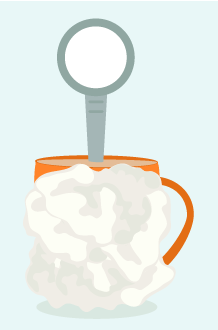 How long will each cup of tea take to go cold/reach room temperature? 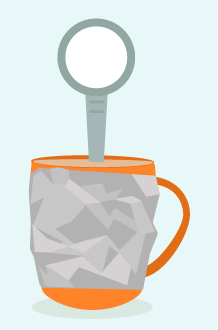 The teacher's tea takes 10 minutes to reach room temperature without any insulation. 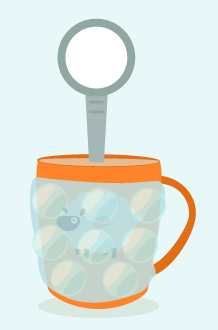 You predicted that wool would be best at keeping the tea warm. What can we tell from these results?